You can't go back in time, but your skin can. This crystal-clear gel helps the skin stay fresh and rejuvenated, eliminates facial lines and sculpts facial contours. 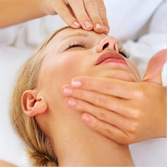 Restylane has an immediate effect and long-lasting results. It enhances facial features naturally, so you always look your best. Restylane fillers have an outstanding lifting capacity. They give you an effective tool to create all kinds of looks. Restylane fillers give long-lasting, yet nonpermanent results. 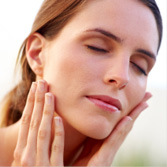 Restylane skinboosters restore the skin's hydrobalance and improve skin elasticity and structure. Restylane skinboosters act like a reservoir of long-lasting hydration leaving the skin smooth and soft with beautiful luster and glow.